MTVNHD, MTV's strangely acronym'ed new high-def channel has been quietly launched on digital satellite this week. The ad-free channel is available now to Sky+ HD customers on channel 384 in the Sky EPG. "The launch of MTVNHD in the UK and Ireland underlines our commitment to provide the audience with high quality programming," said David Lynn, Executive Vice President of MTV Networks UK and Ireland. "From launch MTVNHD will provide an unrivalled destination where people can watch and listen to the greatest live music performances for which we are famous." MTVNHD will show a few original commissions such as the Chartblast countdown show fronted by the lovely Carmen Electra, mixed with high-def content from the MTV Networks International library and a Nickelodeon slot on Saturday and Sunday mornings for the kiddies. "As the first music led entertainment channel available on Sky+ HD, we're continuing to increase the breadth and depth of quality HD content available to our customers," said Hilary Perchard, Sky's Head of Advanced TV Products. 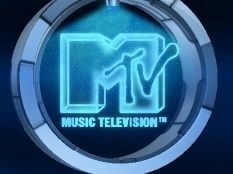 "MTV is a fantastic brand and one which has proven its long standing value to Sky homes. The addition of MTVNHD caters not only to our customers' passion for great content, but also their ever increasing passion for the intensity of HD."